It provides protected online activity. Say ‘No’ to data leaking! It ensures that employees can have a remote and secure access to company network. There is no “one and the only one” definition of a VPN, that’s why we will be getting familiar with it step by step. A VPN (short for Virtual Private Network) is a network technology that ensures a secure and encrypted connection to the public network, like the Internet. To make a long story short, it works like this: you use an encrypted network connection to connect to your computer or other device in order to have a VPN server that enables you to securely connect to the public network, i.e. the Internet. In other words, a VPN serves as a network that creates a protected wide area network (WAN) that is established on a public network infrastructure. This is basically how a virtual point-to-point connection is created. 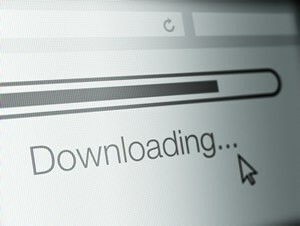 Thanks to VPN, a few computers or other devices being in different parts of the world and having Internet access can create some sort of a local virtual network. It is worth mentioning that these VPNs are available for various platforms including Android, iOS, Mac, Windows etc. So, they are quite practical as they can be used on different computer or mobile operating systems. It’s quite handy, isn’t it? A VPN provides sufficient protection and confidentiality through encrypting data traffic. Users of such networks can transfer and receive data securely through tunneling protocols and encryption techniques. It is not bad, right? Especially considering that despite the Internet plays an enormous role in our everyday life nowadays and should be secured, there are always some risks. Some unwanted people can have the access to your online activity, so it’s good to know that there are some measures that may be taken to prevent someone from spying on you, hacking your accounts, reading your private data etc. Hiding your IP address and fully encrypting your Internet connection are the main tasks of a VPN. Thanks to this, nobody, except you, can have the access to your activity in an online world. You can surf anonymously. No one will find out who you are, what you do or where you live. Traveling - it is always so awesome to see the world, to take a trip to another country. What a great way to spend some time! Or maybe you are just on your business trip. But wait, what about watching your favorite TV show on a channel that is blocked for some reason in another country? No worries. A VPN can help you to enjoy it while being away from home. As simple as that, a virtual private network changes your IP address in order to give you the possibility to have the access to some content that is blocked in some areas. The same goes and for different TV or YouTube channels, sport events that may be broadcast only in some countries due to some reasons. Also, VPN allows users to download torrents without any risks of being caught (as we know downloading a torrent is restricted in some countries). The model of how it generally works is the following: your computer or smartphone or tablet (doesn’t really matter) will make a protected and encrypted VPN tunnel-connection to the server within the restricted areas over the Internet, and this server will be something like a router. Moreover, you can simulate the country you would want your IP address to be listed in. Among other VPN advantages one can note the possibility for employees to have the remote and secure access to their company network. It is very convenient for a company with remote-working employees who may be travelling, taking a business trip or just working remotely from home which is now easier than ever before! And it is not just convenient, but also safe as all the received and sent data is encrypted by special encryption algorithm. How nice it feels when you are in café, or hotel, or restaurant, or shopping mall, or on the bus and you can connect to the internet by just enabling Wi-Fi and clicking that available free and open network you see. Simple and convenient. But what could possibly go wrong? Well, like a number of things. So, what could be done to secure your data while using a public Wi-Fi hotspot? Here is where VPN can help you to create a safe environment for all of your online activities in the Internet using public open networks. VPN services can encrypt the data, hiding the real IP address of your device. Installing VPN software is a simple measure of precaution to avoid being hacked, tracked or spied on. You may think for a second: there are lots of different apps that also allow to change your IP address, so you may wonder why you need a VPN, right? Why do you need to get the VPN? Well, the answer is pretty much simple. It is all about the safety! Well, we can see that using a VPN can actually be helpful for online users and business organizations. There is a great number of benefits that should be taken into consideration the next time you will be wondering like: “Should I get one of this VPN things? Does it really work? Is there a need for installing it on my computer?”. Though we may not even realize how beneficial these virtual private networks aka VPNs can be for us. We live in a world where we exchange instant messages, information, data like every hour, every minute, every second. And let’s be honest, it’s not that hard to track your history search, downloaded files and so on and so forth. Here is where a VPN can help you to protect your personal space. We are individuals and each of us has the right to enjoy the fully secured online world. When gambling online, you may want to use a VPN for several reasons: anonymity, improved security and to bypass any regional restrictions. Identity theft and personal data mining is a real threat. You should take the necessary steps to protect yourself by securing your internet connection with a VPN. You can also use a VPN service to unblock access to online casinos if you live in a country where online gambling is banned. To do so, you will need to find a country where online gambling is legal. We recommend using the UK IP address to gain access to the list of legal online casinos created by Solicitors Guru. Simply make sure that a VPN service of your choice has servers in the UK and enjoy playing! When you google any information on VPN, you will see many different links and resources. You will also notice that there are various VPN providers. So, once you have decided to get a VPN, here are some essential tips on choosing a good and strong VPN provider. First of all, you should find a software that is reliable and not complex in use, and it shouldn’t take a long time to configure. Secondly, it goes without saying, it is highly important to provide the online security. That’s why that software should have enough resources in order to ensure a strong encryption to protect the information you exchange online. And last but not least, the VPN provider should guarantee unlimited bandwidth and no restrictions, and a high-speed connection regardless of your geographical location. Moreover, most of the virtual private networks have servers in more than 100 countries which makes it really easy to get a VPN all over the world. So nothing holds you back from having a secure online activity.